With irony you can ask questions that are delicate, but there’s a thin line between irony and sarcasm so I have to be careful not to overstep it. I made a bag for my first men’s show at Balenciaga, which was based on the classic Ikea bag. It was ironic but also authentic. 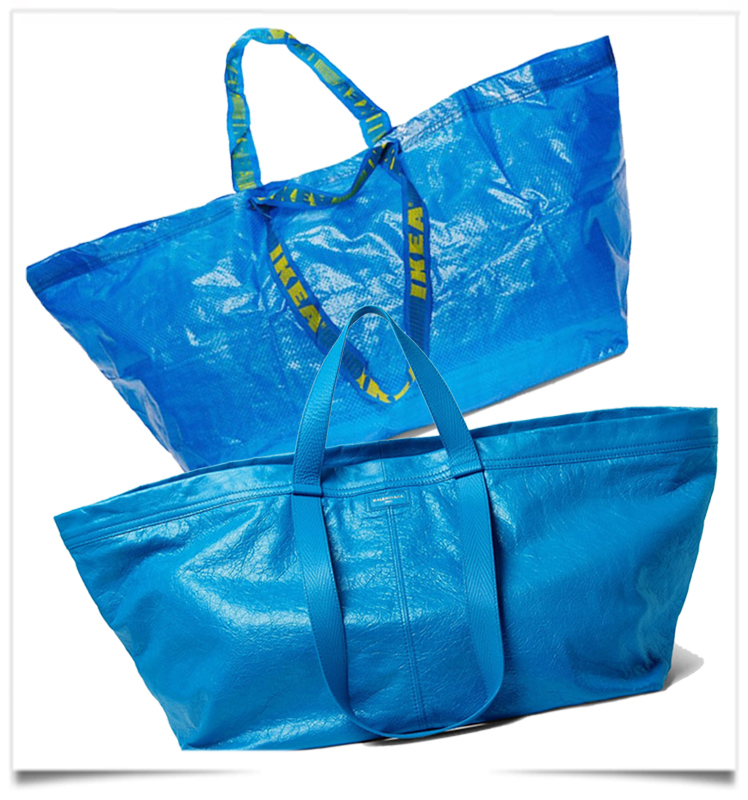 I used the blue Ikea bag during my four years as a student in Antwerp, due to its size and its price. Fifty percent of all students had the same bag for the same reasons, When I did it at Balenciaga I recycled leather that the company had on stock from previous collections, and I finished it as a luxury product. I meant it as an ironic gesture in part, taking something really cheap and moving it into the luxury realm. But it’s authentic too, and that’s why it’s been all over the internet by now. People can relate. Now we know from where the inspiration of Ganassia, designer for Balenciaga comes ; supermarket, food, drug and Rock N’ Snob. This entry was posted in BAGS, BREAKING MODE by admin. Bookmark the permalink.